This year, 2.2 percent fewer California high school students were accepted into University of California schools (UCs), according to an article published in the LA Times in April. The article indicated that the low acceptance rate is due to the fact that public colleges can charge non-resident students more for tuition. 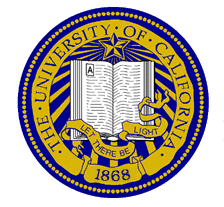 Over the past five years, budget cuts have reduced UC funds by $900 million, according to the University of California Budget News website. Since non-residents pay an average of $22,800 than California residents in total expenses every year to attend a UC, according to the UCLA. website, state schools are turning to non-residents to close the budget gap. This shift in admission rates directly affects Tam students, many of whom aspire to attend UC schools. Naviance, a website designed for college planning, includes records of students who have applied, been accepted to and attended different colleges from any given high school. According to Naviance, the percentage of Tam students accepted to UC schools declined in 2013. In the graduating class of 2011, 38 percent of students who applied to UC Berkeley were admitted. The following year, 2012, 29 percent were admitted. In 2013, only 27 percent were admitted. Other UCs, especially the more competitive schools such as UCLA and UC Davis, show similar trends, while less selective campuses like UC Merced consistently admit a high percentage of Tam students. For many Tam students who plan on applying to UC schools, this development is discouraging. “The UCs should be about California,” sophomore Joe Russell said. “If they really wanted to make money and accept the same amount of Californians, they could just raise the tuition for the California students as well.” Though some students could afford this, others only might not be able to. California is currently trying to find a way to put more money towards education. According to a New York Times article published in May 2013, California recently received an unexpected surplus of tax dollars, amounting to somewhere between $1.2 and $4.4 billion. As of May, the California government hasn’t decided between using the newfound money to replace previously cut funds, including those to education, or saving the money as a safeguard against future shortfalls.